Is it the weekend yet? Not quite, but it’s coming and that means it’s almost time for more mochas! A few days ago we talked about how you enjoy your first cup of the day. As I enjoy my first cup at the moment, it’s a basic cup of Lavazza with a splash of almond milk. I keep things simple during the week. However, when Sunday rolls around, it’s time for big breakfasts and fancy things like mochas! Things are starting to cool down out there so what better time to stay home and cozy all morning. 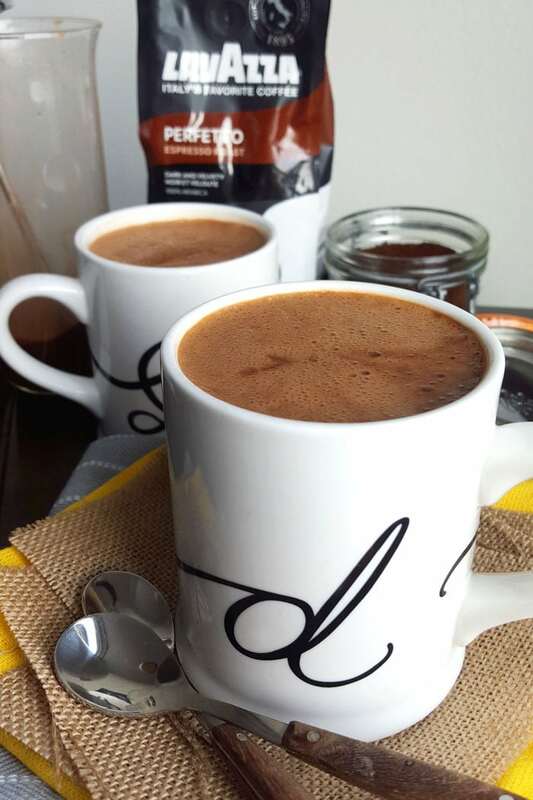 If you missed my last Lavazza post, I shared the how-to for Vegan Salted Caramel Lattes, an easy but decadent way to indulge on a Sunday morning. They were delicious, easy to make, a fraction of the cost of a store-bought latte and perfect for relaxing winter mornings at home. 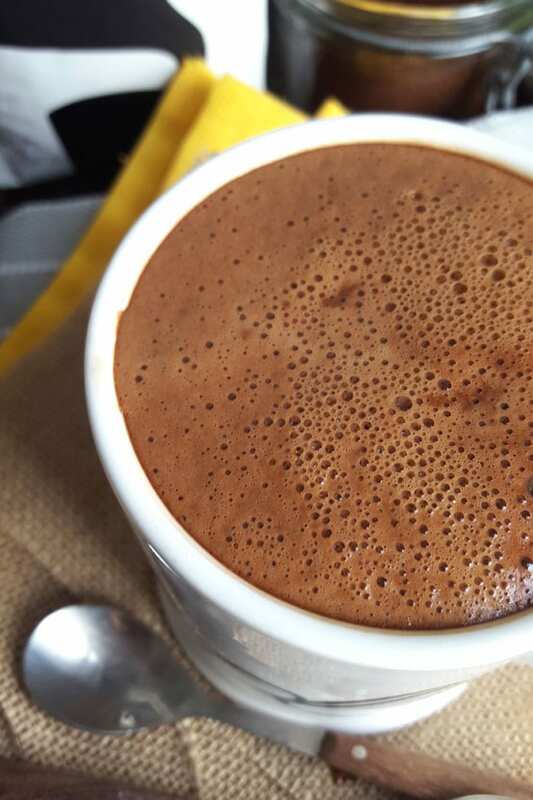 Today we’re going the chocolate route or homemade vegan cocoa + Lavazza for rich, frothy mochas! 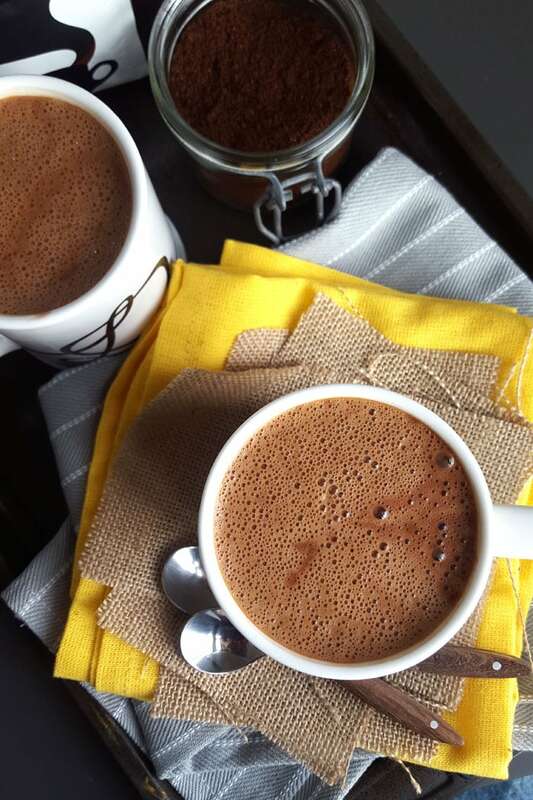 To make these, simply whip up a small-batch of hot cocoa then froth and pour over Lavazza Perfetto Espresso Roast. 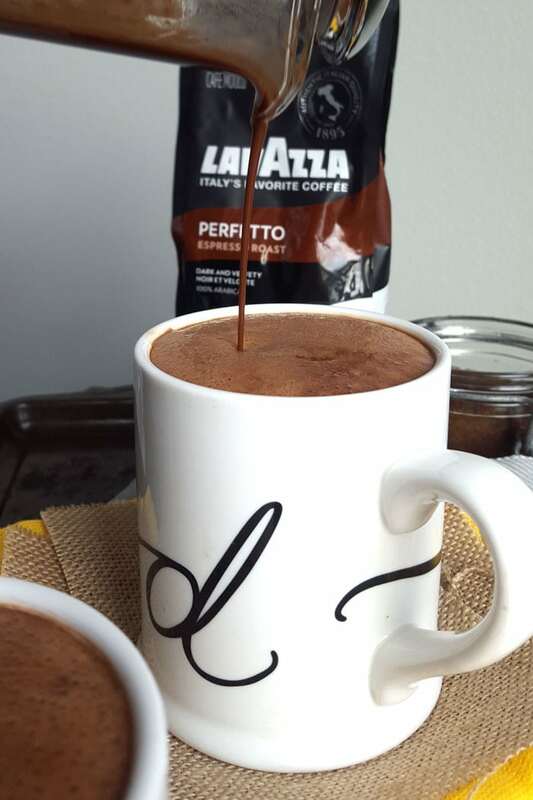 I would recommend using Lavazza Perfetto in this recipes for it’s dark and velvety flavour and caramel notes. I would also highly recommend topping these with coconut whip cream and chocolate sauce! To make the hot cocoa, add the almond milk, chcoolate chips, vanilla, cocoa powder and sugar to a small sauce pan and whisk until combined and creamy. Once it’s all melted together, froth it by using a milk frother or placing it in a blender on high for 30 seconds. 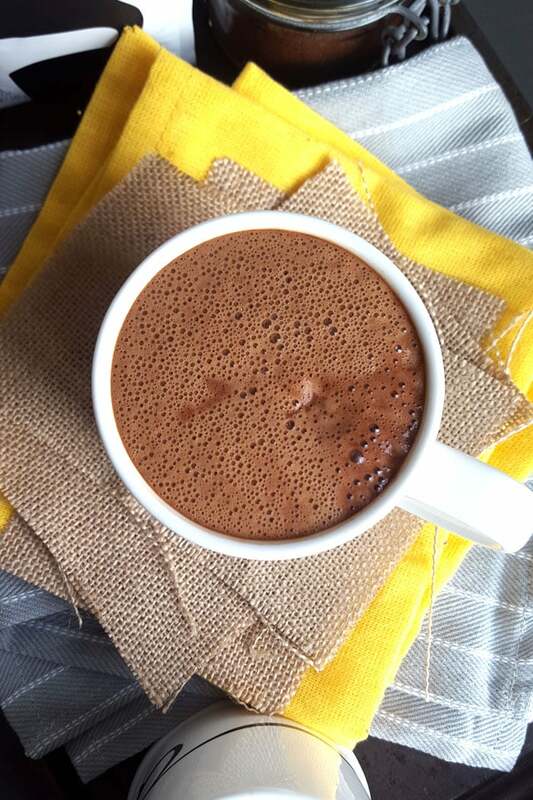 To make the mocha, fill 2 mugs about 1/2-2/3 of the way with Lavazza then top with the frothy hot cocoa. Well, Lavazza lovers, I’ve got more coffee-love comin’ at ya in December, so just hold on until then! In the meantime, you can check out Lavazza on Facebook to see what the other Lavazza Passionista’s are up. Seems very delicious! I can’t wait to try this one. 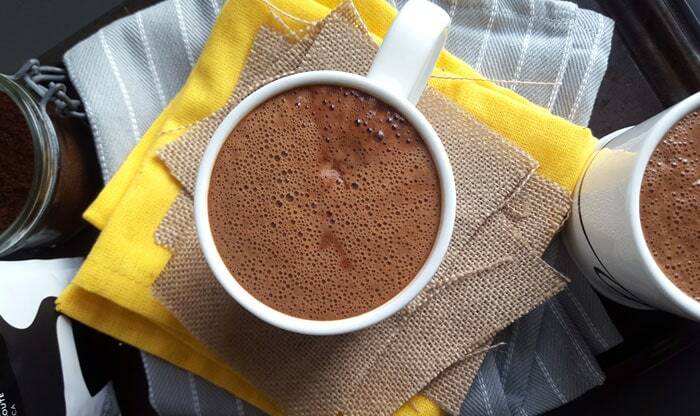 I’ve been looking for a really good vegan mocha latte and i came across this and Brittflix’s video on how to make one. Both are sooo good. i personally think this recipe is thinner and silkier but her’s is definitely creamier and rich and I can’t tell which recipe I prefer. Guys you should definitely try them both. 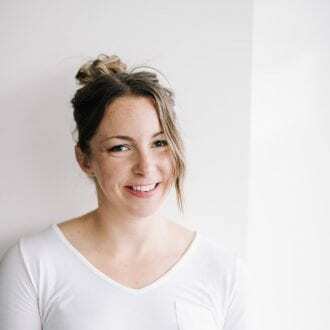 Look Brittflix up on youtube and watch her vegan mocha latte video. Thank you so much!!!! This was better than Starbucks. Well that’s saying something! Haha, glad you enjoyed it! 🙂 thanks for the comment.